More than 100 projects for 150+ Clients in 8 Years of operation. Easton stands firm on these pieces of land anchored with a strong rope of Intelligence & Expertise… ‘Cause we know this is where we belong! We make Corporate Videos that films the company in such a way it earns a recognizable name! Our cost-effective TV Commercial Ads we have done has earned us a noteworthy fame in the field as an Ad film agency. Our Motion Graphics Video Production Service is well-equipped to make high-quality Animation and Commercial Films. We create amazing Explainer Videos that serves as a promoting tool for your Business, Product or Service. We create amazing Animation Explainer Videos & White Board Animation to promote your Business, Product or Service. 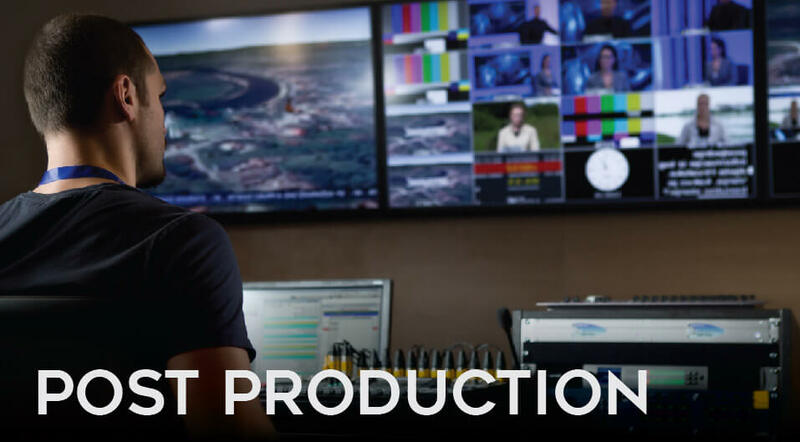 Our in-house Editors provide the Best Video Editing Service by shaping raw footage into a purposeful Video. Our Documentary Film Production Service captures the reality and documents it as a remarkable Documentary film. We proffer professional Product, Food & Portrait photography that all start-up to big companies can afford. To create great Videos it takes tremendous processes through which a story gets build, visualized, captured, scripted, chiseled and displayed. We try to perfect our Video Production Process to make attractive Corporate Videos with a magical touch through our Unique process. We have a close discussion with our Clients, where we know them better, understand what they need and fetch what absolutely we need to create their Story with! Our Pre-production teams collide to analyze, finalize on what’s adequate for the Story and build ideas with the hints that we find out. We strongly believe that Brains together can cause a Storm! Our Script writers work on the script whilst visualizing the scenes that can tell your story better and sketch the Story Board along with. Our Story Board Frames all the relevant content that has to be captured. Our scripts carry immense truth and focuses on what exactly the story has to speak for itself. After our clients find it as the exact story which they wanted to say, we record it with a most mesmerizing voice. 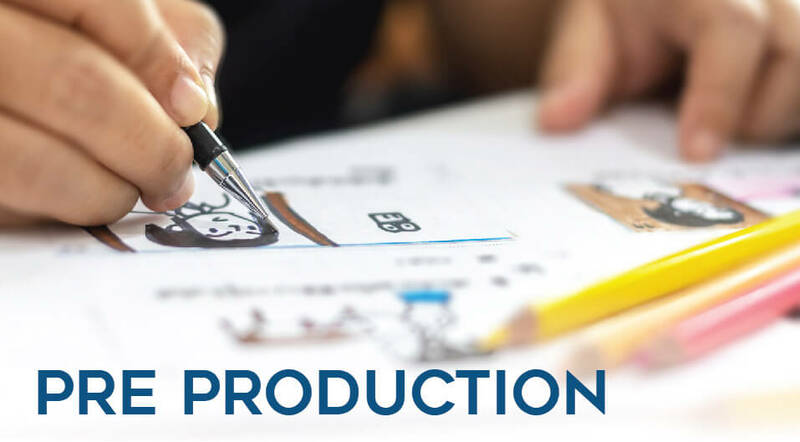 Our Pre-production team visualizes the story in invisible realm and team re-captures the same in visible realm with a strongly built Script & Story Board backed up with a proper Shoot Plan. Our In-house Editors do a glance study of the Story, gather complete knowledge of the Video and Edit it such a way the Video reaches and engages the widest Audience possible with its true story. We know that every Story has its own splendour! We bring out the beauty within by inspiriting the Story with a Music that matches the true-self of the Video with our Audio Editing & BGM Mixing. A touch of magic can add excitement to the Video. Our Animation & Graphics Team are highly Creative and ensure to create a magical sensation with their crazy & engaging ideations. We deliver Videos in all compatible formats that the client needs. Whichever format the client wants it, to air on TV channels, showcase it on Youtube or anywhere else, we are ready to deliver the best! We are eager to listen, tell us about you! Video Production Company in India with more than 100 projects for 150+ Clients in 8 Years of operation… We help you create Visual Masterpiece that wins! © Copyrights 2019 Corporate Video On. All rights reserved.